The use of virtual reality is becoming more evident and housebuilding is one sector that could experience particular benefit. Tom Murray, IT Manager at digital solutions provider UXG, examines the opportunity and the challenges. Whether it’s at the designing, building or selling stage of the process, the housebuilding industry can benefit from having an immersive and engaging sales tool and platform which meets the needs of modern-day buyers. Step forward virtual reality (VR). 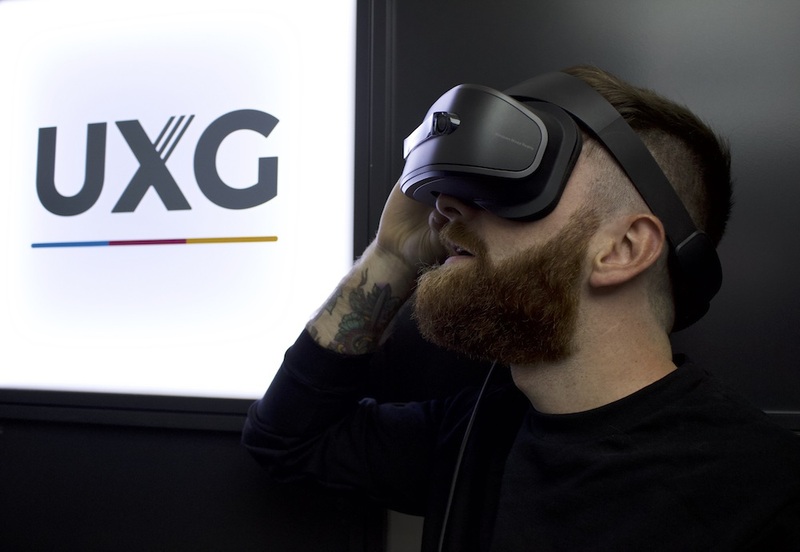 Offering an interactive, computer-generated experience taking place within a simulated environment, current VR technology most commonly uses headsets, which allow the user to look around the artificial world, move around in it, and interact with virtual features or items. This is far more than an enhanced computer game, however. VR offers housebuilders a wide range of possibilities, from showing customers around a property, to bringing to life extras and add-ons. Crucially, it gives the potential to create ever-changing environments during the viewing process to showcase different house types, choices and extras within a residential portfolio. Having this form of innovation could be integral to a housebuilder’s new build catalogue, as customers can really get a feel for the different homes on offer, even if they are not in the local vicinity. Ultimately, it means viewers can see more, quicker, as sales reps can showcase numerous properties during a single session, this maximising viewing capabilities and driving efficiencies. Changes and configurations can even be made to show the final product and give the opportunity for upselling features. And that’s not all. Currently only a personal experience, VR in property only allows for one person to get immersed within the environment – something that isn’t overly ideal for couples or families wanting to view the virtual space together. Yet, as innovations are taken further and with the introduction of further headsets, the opportunity of having shared group experiences within VR property technology will be achievable. 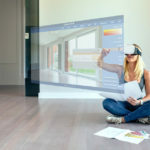 All the above points make seem having VR in housebuilding a no-brainer – however the technology does come with its own challenges. Incorporating this form of technology is all down to having the right size and volume to make it a worthwhile venture. Managing this requires varying processes, such as having the right hosting requirements and methods of displaying the environments in 3D and VR models. The same difficulties can be found with the VR hardware, as it can be costly and rather bulky in size. Yet, as advancements are ongoing, we are seeing continuous improvements with size and prices to help make VR in property far more accessible. Developments in digital solutions, through utilising tech such as dynamic LED screens, can help develop these VR ideas into immersive environments for property buyers to explore. The opportunities for the use of VR in the property sector on a much larger scale could provide the sector with a whole new sales platform – one that’s more efficient and only improves the user experience. With greater competition and an increased focus on customer experience, it has to be an opportunity worth investigating.